Phone me call drop, weak network, less network or no network related problems aati hai. In problems me phone me sim card laga huya hai phir bhi phone me network nahi aata hai, weak network se call drop jaise faults aati hai. Smart phone me in problems ko solve karna bahut hi aasan hai. Apne phone me ek new work karne wali or test ki hui sim lagaye or check kare phone me network aa raha hai ya nahi. Aaj ke lesson me phone me no network signal or call drop ki problems ko kaise solution kare ke bare me learning karange. Isse pahle jante hai ki is phone me konsi faults or problems aati hai. In problems ko solution kaise kare aaiye jante hai. 1. Phone ki setting me call setting or network setting check kare. Agar setting OK hai or fault ko solve karne ke liye next steps par chale. 2. Phone me test or work karne wali koi other sim lagaye or dekhe problems solve hoti hai ya nahi. Kahin bar phone me new sim lagane se yah faults solve jo hati hai. Iske alawa aap faulty sim ko other phone me lagaye or check kare ki same faults batati hai ya nahi. 3. Fault solve nahi hoti hai to PCB par network section ko wash kare. Network section track ko acche se check kare. Track fault ho to jumpar kare. 4. Agar phone motherboard par touch hone wala antenna laga ho to PCB par Antenna touching point se antenna par jumpar kare. Agar fault solution nahi hoti hai to next step par chale. 5. Battery connector ke Positive(+) Point se PFO tak connection ko multimter se check karke dekhe. Yadi beep ki sound na baje to jumpar kare. 6. Fault ka solution nahi hota hai to phone me software flashing kare. 7. Antenna Switch ko resold kare, fault solve na hone par Naya lagaye. 8. PFO IC ko heat, raball or change kare. 9. Network IC ko heat, reball or change kare. 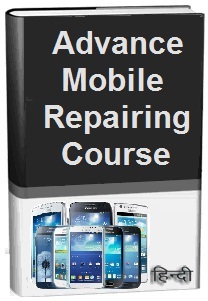 Notes: Phone repairing me network faults solution step by step kare, isse fault ko fix karna bahut easy hota hai. Keywords: mobile, cell phone, android, samsung, smartphone, repair, how to fix, solve, repair, samsung galaxy j7, no network, call drop, call disconnected, all types network, signal, faults, problems, solution, kaise kare hindi me, tips, guide, jumper diagram pics, in hindi.